Good reviews from exhibitors and visitors has set the seal on a successful second edition of regional feed-to-food trade show VIV MEA. Their comments about the February 2018 event confirmed the value of having a truly professional and international show in the region that extends from the Middle East and Africa to Iran and the countries of the Indian sub-continent. Held in the United Arab Emirates between 5th-7th February, VIV MEA 2018 was already going to be bigger than the 2016 edition because the show had spread into a fourth hall at the Abu Dhabi National Exhibition Centre (ADNEC) to satisfy the extra demand for stands. Final statistics for the 2018 show confirm that it was also bigger on attendance figures. Its 3-day total of 6,660 visits represented a 6.7% increase compared with the first edition. Evidently the expanded exhibition this time was a factor in attracting more visitors, even if it impacted on traffic density around the stands at times by spreading the attendance across more square metres of space. But the key point about the attendees was their quality. A survey conducted during the three weeks after the show has found a satisfaction score of 7.3 out of 10 from exhibitors and an even higher rating of 8.3 from visitors. Many exhibitors commented on the high quality of the VIV MEA visitors in 2018, confirming the evidence from registration details for visitor job title, function and decision-making power. 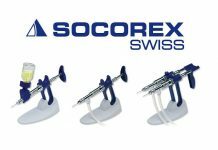 First-time exhibitor Expert Medical Ltd from Hungary was equally enthusiastic. According to export manager Géza Krasznai, “It is our aim to expand our activities in the MEA region as well as in Asia and this platform has proved to be the right place for us.” Orffa’s international commercial manager Nizar Mahmoud, based in Jordan, expressed approval for the global spread of exhibitors at VIV MEA compared with local shows and for the accessibility of Abu Dhabi as its location. Visitors remarked that the importance of the regional event had become clearly established, calling VIV MEA an excellent meeting point in the Middle East to expand knowledge and business. Their interest in the 2018 proceedings has now been backed by a new data analysis, relating to the amount of time people spent at the show. Almost all attendees were found to have stayed at least one full day and most of them returned on a second or even a third day. People attending VIV MEA 2018 could meet a total of 368 direct and indirect exhibitors from 46 countries in the trade fair, join the on-site networking events and discover the information on offer at a series of conferences and seminars held over the three days. Conference themes included respiratory viruses in poultry, modern ways to market eggs, how dairies thrive in hot and dry climates, extruding feeds for aquaculture, fly control on farms and actions against mould toxins in feed grains. Knowledge in a professional and relaxed setting, was how one delegate described the special atmosphere that VIV MEA created around the conferences. Underlining the fact that the VIV MEA 2018 attracted a quality audience, almost 300 top-level professionals from the Middle East/Africa region were invited and hosted by the show’s organizer via the dedicated Industry Leader program. 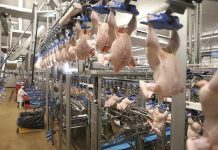 These leaders, representing the animal protein sectors of poultry meat, eggs, fish, milk or beef, are the owners or main directors of production companies together with important animal feed manufacturers and livestock product traders. They came from a range of countries regionally, but the largest individual contingents were from Morocco, India and Saudi Arabia. 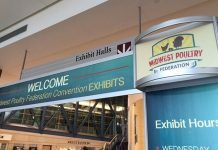 Overall, visitors to VIV MEA 2018 were animal protein industry leaders from 88 countries. The Middle East and Africa accounted for 74% of attendees. Almost 69% of the people visiting the event came from outside host country UAE, demonstrating further that VIV MEA has already become a truly international hub. Following the UAE that came top for the size of its contingent, as might be expected with the show taking place in its capital Abu Dhabi, Iran moved into second place on visitor attendance numbers. Pakistan, Egypt, Saudi Arabia and India each contributed over 5% of the attendees. The other countries in the Top 10 were Jordan, Iraq, Oman and Sudan. That total of 6,660 visits did not count the many industry professionals who took the opportunity of also visiting VIV MEA in addition to attending the Global Forum on Innovations in Agriculture (GFIA) event that was co-located at ADNEC on the same dates. Including GFIA would in fact have taken the visits total to 7,901. 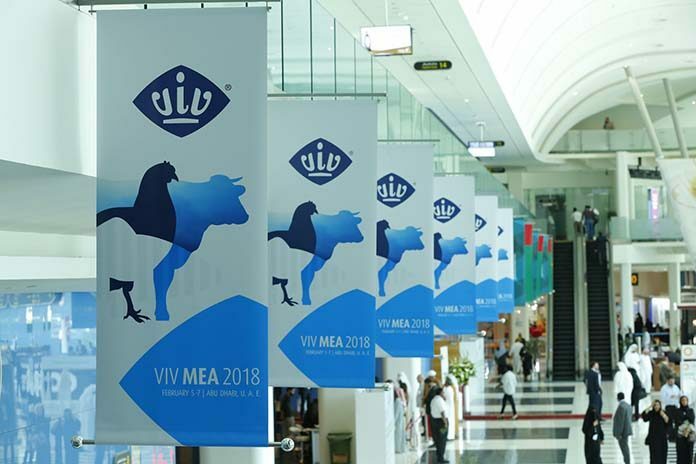 VIV MEA is held every two years and Abu Dhabi in the UAE will again be the location when it returns on 9-11 March 2020, show manager Renate Wiendels confirms. Planning has started already on an enriched programme to reinforce the event’s position as the premier regional hub for knowledge and networking in animal protein production and processing, from feed to food.